Yesterday, we looked back at M. Night Shyamalan’s Unbreakable, the film that was supposed to spawn a sequel but didn’t because no one liked it when it came out. 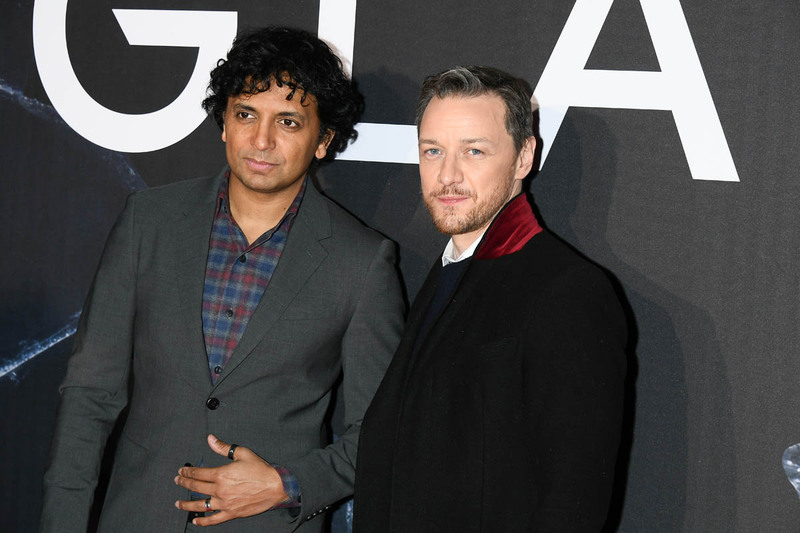 But over time, even as Shyamalan’s reputation as a filmmaker nose-dived, Unbreakable rose in estimation and cult status, until finally he was able to finally make that Unbreakable sequel—sort of. Here we look at Split, the psychological thriller/serial killer horror hybrid that became, thanks to a post-credit stinger, the once-promised Unbreakable sequel and part two of the Eastrail 177 trilogy. After running his credibility straight into the ground with movies such as The Lady in the Water, The Last Airbender, The Happening, and After Earth, (Lainey: thank you, Sarah, for not including The Village in this list because I love that movie…is it because I was obsessed with Joaquin Phoenix back then?) M. Night Shyamalan had to stage a comeback. With his traditional studio partners finally giving up on him, he found a new home at Blumhouse Pictures, home of micro-budget horrormeister Jason Blum. Blumhouse’s legendarily tiny budgets forced Shyamalan to get clever and stop relying on tricks, because he just didn’t have the money for them. The result was 2015’s The Visit, a found-footage horror-comedy—I’m not entirely sure the comedy is intentional, but it’s there—which feels like a return to form for Shyamalan. At least in that, there is a story, the visuals are working to tell elements of that story, and there are no deadly trees or whatever the f-ck. But The Visit also represents how little producers trust Shyamalan. He made a couple movies, After Earth and The Last Airbender, with budgets over a hundred million. The rest of his output usually ran in the $40-$80 million range, classic mid-budget genre movies that were supposed to produce reliable returns. But Shyamalan stopped being reliable, and started costing studios money. That left him with Jason Blum’s too-small-to-fail budgets, and he got a comparatively paltry $5 million for The Visit. But the cautious investment paid off, and The Visit made $98 million, a fantastic result for a low-budget horror movie. The success of The Visit meant Blumhouse was willing to reinvest in Shyamalan, and this time they gave him nine million whole dollars to make a serial killer movie called Split. Split is somewhere between bad and good. It has its moments, for sure, mostly thanks to star James McAvoy’s wholly committed performance as a man with Dissociative Identity Disorder. It mostly works, and the confined space of the setting forces Shyamalan to get clever with his camera, which is where he shines most anyway. As much as we talk about Shyamalan’s twists and his narrative constructs, really, he’s best at the technical stuff, of making it look good, and interesting. Story is often second with him, which is why his career ran off the rails—he’s not actually that great at telling stories. But he sure can stage a story, and Split is interesting because it is so comparatively minimal. Almost the entire movie takes place in a tunnel. There are only five real characters, and even still two of them are disposable. But Split allows Shyamalan to do what he’s best at, which is work with actors and give them an interesting place to work. McAvoy is brilliant as each of Kevin Crumb’s alter-egos, and Anya Taylor-Joy proves The Witch isn’t a fluke and she really does have a great, eerie screen presence. Their byplay throughout the movie is so fun to watch. Of course, Shyamalan can’t resist his worst impulses at this point, so there are some face-palm moments. And the treatment of mental illness is questionable, at best. But structurally, Split feels like Shyamalan back in his groove. There isn’t really a twist, just a well-constructed reveal, as characters begin discussing “The Beast” right away, and we have a whole movie in which to build up dread of meeting this particular alter within Kevin. Despite its fantastical elements, Split feels grounded, both by its obviously limited resources and by grounding it as, essentially, a survival tale. But then there is that post-credit stinger. And suddenly Split isn’t its own movie, it’s part of the Eastrail 177 franchise (even though it has nothing to do with the Eastrail 177 train crash depicted in Unbreakable). The connection at this point is tenuous, just an acknowledgment that the characters from Unbreakable and Split live in the same world, but thanks to Blumhouse Shyamalan has a path to make that Unbreakable sequel he’d been teasing for over a decade. And with Split becoming a huge success ($278 million worldwide against a $9 million budget), the way is cleared for Shyamalan to realize his vision. In Feburary 2017, with Split hauling in cash, Shyamalan announced he would be making a third film in the Eastrail 177 franchise. The long-awaited Unbreakable franchise would finally come together in a film called Glass.